It was a close tennis match, but Israel's Dudi Sela fell 7-6, 7-6 to Croatian Ivo Karlovic in Bogotá, Colombia on Thursday. While the score was fairly even, the two players are hardly similar. 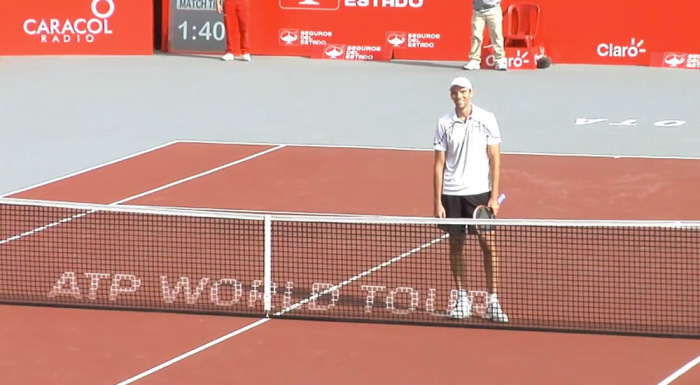 Sela, standing 5-foot-9, struggles to see eye-to-eye with the 6-11 Karlovic. So when it was time for the customary handshake at the end, Sela did something about it, and it was hilarious.